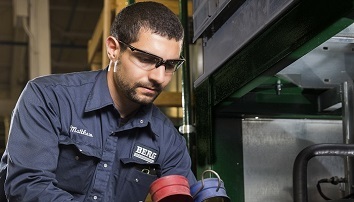 Case Study - Wellhead Flare Gas Conditioning | Berg Chilling Systems Inc.
Berg Chilling Systems Inc. and GTUIT LLC Save Bakken Oil Producers Money and Improve Environmental Performance. 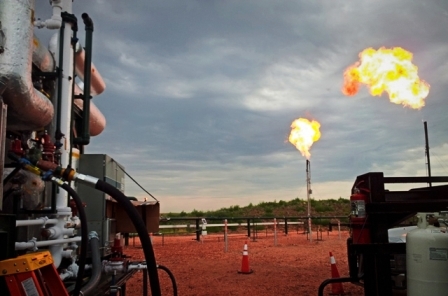 Flaring is both one of the biggest challenges and opportunities in the Bakken shale today. As in most oil shale plays, oil production includes wellhead gas that is rich in hydrocarbons but often not able to be moved to market due to the high rates and rapid pace of development. 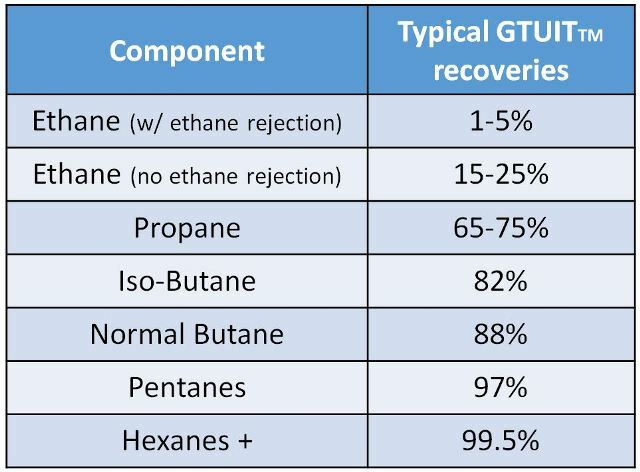 1000 cubic feet of raw gas can contain 8 to 12 gallons of natural gas liquids (NGLs), which include ethane, propane, butane or even natural gasoline. Producers that flare unprocessed gas are literally burning money. Flaring it also emits large quantities of volatile organic compounds (VOCs) into the environment and pumps out carbon dioxide and particulate. Most important, the quantity of VOCs sent to the atmosphere from flare gas is strictly controlled by the US EPA by Title V and Prevention of Significant Deterioration (PSD) threshold regulations. Adhering to these regulations is costly and burdensome to producers, particularly in the early stages of a well’s production life cycle. They often have to throttle oil production to stay within the VOC thresholds at the expense of cash flow when they need it most. GTUIT and Berg Chilling Systems Inc. have teamed up to launch GTUIT Core System, a game changing solution to the wellhead gas challenge. GTUIT Core System, trailer-mounted portable wellhead gas processing system that includes patent pending technology that stripes out natural gas liquids (NGLs) and drastically reduces VOCs by liquefying and storing them. These valuable NGLs and purified wellhead natural gas streams are diverted away from flare stacks, resulting in significantly improved environmental performance and the opportunity to reduce production costs and increase revenue. 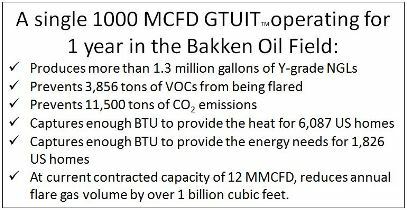 GTUIT currently has 14 MMCFD of treatment capacity under contract with 7 MMCFD already in service in the field. 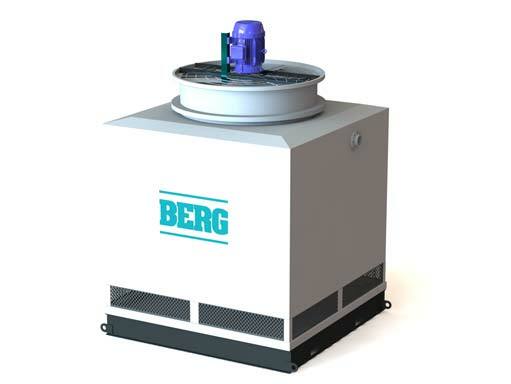 The processed gas and liquid products can be used on site to fuel power generation equipment, be recycled back into the production process, or stored and sold on the market, all of which increase financial performance and benefit the environment. Pipeline take-away capacity, particularly in those developed regions with higher gas production, is improved by physically reducing the volume of gas in the pipeline and reduce costly pipeline maintenance by removing the NGLs that drop out and cause flow restrictions. 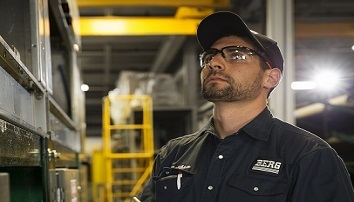 The processed gas is a quality, dehydrated natural gas product with reduced BTU and increased methane rating that is delivered at a steady flow and pressure. It can be feed onsite power generation equipment or heat frac water, reducing reliance on expensive diesel fuel, or be further processed and sold as liquefied natural gas products. 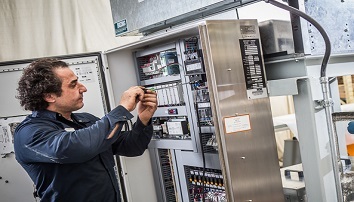 The gas can also be compressed and injected back into the well to run artificial lifts, increasing productivity and reducing the need for extra water to sustain the production process. The recovered T-Grade NGLs can be used as a process fuel to heat frac water, as field use propane to supply power generation equipment or stored and sold. 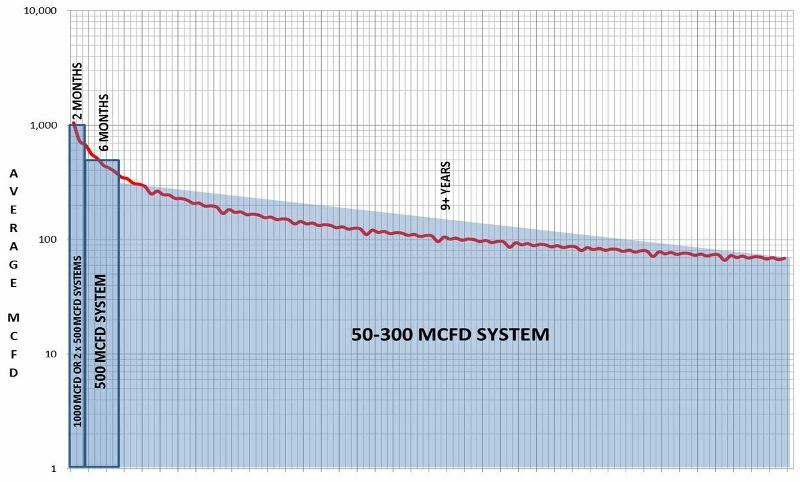 Two Key features to the GTUIT Core System are the system’s unique ability to scale capacity to synchronize with a well’s stage 500 MCFD or 300 MCFD capacity modules can be deployed in the optimal combination to match the incoming volume of wellhead gas during any stage of the well’s production lifecycle. As wellhead gas rates fall and stabilize over time, GTUIT CORE System modules are easily removed with no disruptions to production. This system flexibility maximizes return on investment and environmental performance by ensuring optimal system capacity and minimizing scenarios where wellhead gas must bypass it throughout the full lifecycle of the well. See Our Line of Air Cooled Refrigeration Units.